What Would You Do If You Were Hit By An Uninsured Driver? A man seriously injured by a drunk driver will possibly have an even tougher time collecting compensation because the driver had no insurance. In this issue, we’ll share details from the case, and give you important information that could put in you a better position to collect what’s owed to you – especially if the driver who hurt you has no insurance. In late February, the drunk driver drifted from the roadway and spun counterclockwise when he overcorrected. As his vehicle spun, he crossed the centerline and struck an oncoming driver in a pickup truck. While the drunk driver suffered only minor injuries, the victim was not as fortunate. He had to be extracted from his truck after being pinned underneath the dashboard. His injuries were serious: a fractured femur, right ankle and knee. During a field sobriety test, the drunk driver admitted to “drinking a few beers,” and also to having no insurance on his vehicle. What would you do if you were injured by someone with no auto insurance? While Alaska, like many states, requires that vehicle owners obtain insurance, the sad truth is that not everyone is a law-abiding citizen. While the minimum requirements for auto insurance are $50,000/$100,000 for bodily injury or death and $25,000 for property damage, those amounts are potentially worthless if the other person who caused the accident isn’t covered. That’s why the smart move is to make sure your policy has uninsured/underinsured coverage. All insurance providers in Alaska are required to offer this coverage, but it’s up to you to decide to accept it. With uninsured/underinsured coverage, you’re almost guaranteed some compensation if you’re injured by a driver with no insurance or not enough insurance. 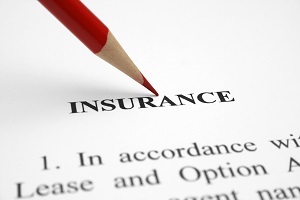 Why do I need a lawyer if I have uninsured/underinsurance coverage? First off, it’s always a good idea to have a skilled personal injury lawyer on your side when you’ve been injured by someone else. Also, if you’re seeking compensation through your uninsured/underinsured coverage, your claim will be against your own insurance provider. Even though you have a policy with them, they’ll still likely try to keep the payouts as low as possible. Even more alarming is the fact that some insurance providers will go the extra mile in protecting themselves by inserting certain restrictions on your ability to file claims, like 30-day deadlines from the time of the accident. A good personal injury lawyer will know the ins-and-outs of how insurance companies work, and will be able to use that knowledge to make sure you receive every cent you’re entitled to. If you’re injured by an uninsured driver, call Barber & Associates. We’ve been working on behalf of Alaskans for decades to make sure they receive every dollar they’re entitled when injured by someone else. Our expertise has proven to be vital in receiving funds to cover medical bills, lost wages and quality of life. For an energetic and expert effort to defend your rights, get in touch with us. The first meeting is always free, and you can reach us at 907-276-5858 or via email.